Philip J. Jameson, photo by Scott Lapham. The son of Greek immigrants, Philip Jamoulis Jameson was born in 1930, in Fall River, Massachusetts, and his parents stressed the importance of education early on. Jameson’s first passion was medicine. He became a radiologist, pioneering in radiotherapy in Fall River. His second passion was photography: he sees a relation between the interpretation of minute details in both his radiology and photography. 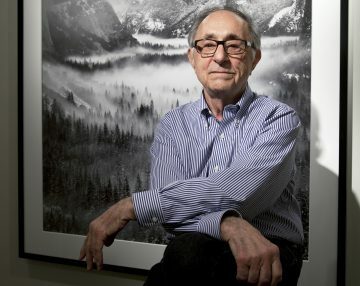 Jameson attended workshops with Fred Picker in Vermont and in the Southwest, the latter area becoming a favorite subject for his large-scale landscape photographs. His work has been exhibited nationally and is included in the collections of many institutions. Crane Museo Silver Rag Fine Art Photo Surface Paper, K3 opaque inks with photo black, 44 x 55 in. 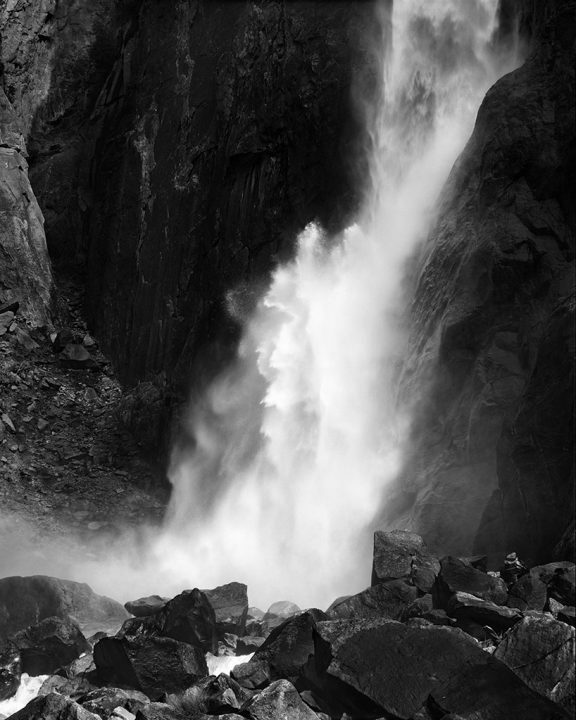 Yosemite Footage: Philip Jamoulis Jameson, M.D.